Sitting with a dumbbell in each hand in a semi-pronation grip. 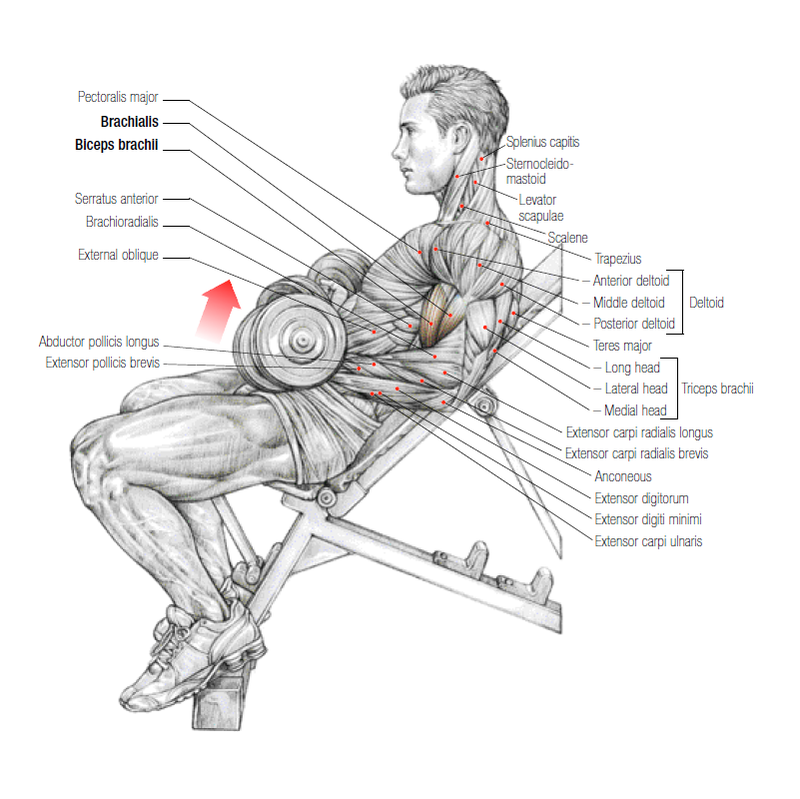 Inhale and flex your forearm by rotating the wrist to the outside before that the dumbbell is horizontal. Complete flexion by raising elbows and exhale at the end of movement. This movement is especially use to target the biceps long head (external muscle part) favorably stretch to start flexing forearms. This movement works also brachialis and brachioradialis. You can do this movement by performing alternative flex. It’s possible to intensify biceps work by starting the movement in supinated grip. 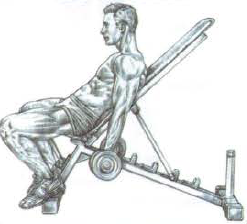 Adjust bench’s angle based on individual differences in shoulder flexibility. If the arm is too worn backwards, the long head’s tendon of biceps excessively rub in the bicipital groove of humerus, which can cause premature wear and tendon inflammation. P.S : If you’re in Miami and you like Caribbean food, go to my cousin’s bistro to eat Haitian food, click here.